It's important to contact a personal injury lawyer soon after you suffer an animal bite, since he or she can help you preserve evidence. In addition, your attorney can make sure doctors refer you to specialists who will work to minimize any disfigurement and enable you to cope with the emotional trauma associated with these events. Dogs. Dogs are usually required to be kept on leashes and not allowed to roam free in public areas. 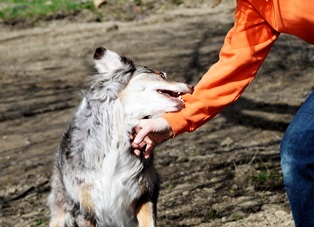 However, injury recovery is still possible, even if the dog bite occurred in an area without leash laws. Domesticated animals. Pet owners are responsible for injuries caused by horses, birds, cats, reptiles, rabbits, or any other domesticated animal. Exotic animals. If an otherwise wild animal escapes a private owner's enclosure and causes injury; or a creature in a sanctuary or zoo injures you or a loved one, the animal’s owner may be held responsible under a theory of strict liability, regardless of other facts. It's important to note that the ease with which you can win a dog bite or animal attack lawsuit varies by jurisdiction. The personal injury lawyers at Samples Ames PLLC are familiar with animal control ordinances in Fort Worth, Dallas, and throughout Texas. They can advise you about legal rights. Simply fill out the quick contact form on this page to set up your free initial case review today.